I admit it. I’m guilty of allowing my only child to spend a lot of time on his iPhone, iPad and PlayStation 4. I often find myself speechless whenever the other moms at school boast about the creative ways they use to limit their kid’s gadget use. While some resort to disabling their WiFi connection or locking their kids’ gadgets in a cabinet, I on the contrast implement zero policy at home when it comes to gadget use. Hear me out on this one. I may be on the wrong side of the track, but let’s admit it. For working moms like me, sometimes all it takes is just a simple mobile game to get our kids’ attention and buy ourselves some “ME” time. Recently though, I came to a realization that my loose parenting style may not be the best move when dealing with this issue. Last weekend, I lost track of time and it was super late when I noticed that my son has spent most of his day on his phone doing God knows what. At that very moment, I realized how this magical technology which gives us some sanity at home can in turn have long-term negative impacts on the lives of our precious ones. Smartphones, computer games, tablets – all of these are slowly taking our children away from us. Instead of going out and playing hide and seek or other real games with friends, there they are, deeply consumed in their own Minecraft world. So the question now is how do we get our little couch potatoes out of the house and live an active life. Here are some simple but effective ways that we can try to help our Internet-savvy kids have a well-balanced life that they deserve. One of the simplest yet most effective strategies to minimize our kids’ gadget use is to implement strict technology rules. Sit down with the entire family and set a time limit for smartphone, tablet and laptop use. In addition to time restrictions, assigning common areas as “no-technology zones” is helpful as it will slowly detach the kids from their Facebook friends and will give them more time to have actual face-to-face conversations at home. Motivate the kids to follow the rules. Introduce a unique reward system. 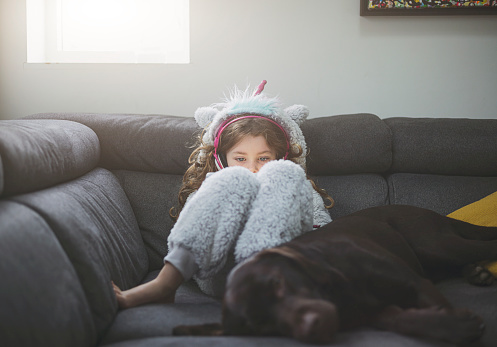 One of the best rewards that you can offer is to host a sleepover party with their best buddies or you can also organize a movie night to give them fun times with their school friends. Once you have the technology rules working at your place, then it is about time to come up with different creative ways to maximize the extra time that you have with the kids. Yes- drawings, paintings and reading books can do the tricks in young kids and toddlers. But if you have an adolescent, a toddler and a teenager at home, then this activity might not work out anymore. Get the board games out of the storage boxes. Relive the good old days and trigger their imagination and creativity with Pictionary. Feel the thrill and enjoy several rounds of Uno Stocks with them. Hone their money management and investment skills and play Monopoly with the entire family..
Start with small steps. Give your kids a little push and guide them as they try to live an active and well-balanced life. Assign small daily tasks that will force them to get out of the house. Be it walking the dog or getting the garbage out in the garage, the goal is to re-acquaint them with the neighbors and the other people around them. As soon as everything is going well with the small chores, then it is about time to introduce bigger outdoor activities for the family to enjoy. Should Parents Let Their Toddlers Have Screen Time?